IC14 Preview: Revos aim for "The 'G"
The US national team, the American Revolution or "Revos" as they are affectionately known, are heading to Australia to take on the best teams in the world in the Australian Football International Cup. At IC11 they lost to PNG after looking much improved from 2008 where they finished seventh; back in 2005 the Revos finished a very respectable third after beating 2002 winners, Ireland twice. With the top nations powering ahead in their footy programs, can the Revos push on to the Grand Final at the MCG. In 2011 they selected for speed whilst still fielding an experienced side. The 2014 version is perhaps even more experienced, but now their biggest challenge is probably their ball use under pressure against the top sides such as NZ and PNG. The Revos are coached by former Baltimore Washington Eagles coach Matt Bishop who is originally from Maryborough, Victoria; his playing career has included matches with clubs in country Queensland and New South Wales, as well as Brisbane and Sydney. In 2004 was appointed coach to the Manly Warringah Wolves Reserve Grade team while continuing to play with the First Grade side. During his time with clubs in Brisbane, Sydney and Washington, D.C., Matt has been deeply involved with club administration as well as playing and coaching. Matt held many administrative positions and has been recognized by the clubs for his off-field contributions. Matt joined the Eagles in 2005 and was appointed head coach in 2006. During 2006, the Eagles won the Division 2 National Championship. In 2007 the Eagles continued their ascension to one of the elite teams in the country by going undefeated in and winning the Eastern Australian Football League ("EAFL"). In 2008 Matt took on an assistant coaching role with the Eagles. The Eagles continued their successful run by again going undefeated in and winning the EAFL title. During the 2008 USAFL National Championships, the Eagles again played in Division 1, making the final. At IC11 Matt turned around the Revolution’s fortunes taking them to the semi-finals. Matt now resides in Sacramento, CA with his wife Amy. They have established men's and women's footy in Sacramento. And he has an unbeaten run as coach against Canada in matches since IC11. 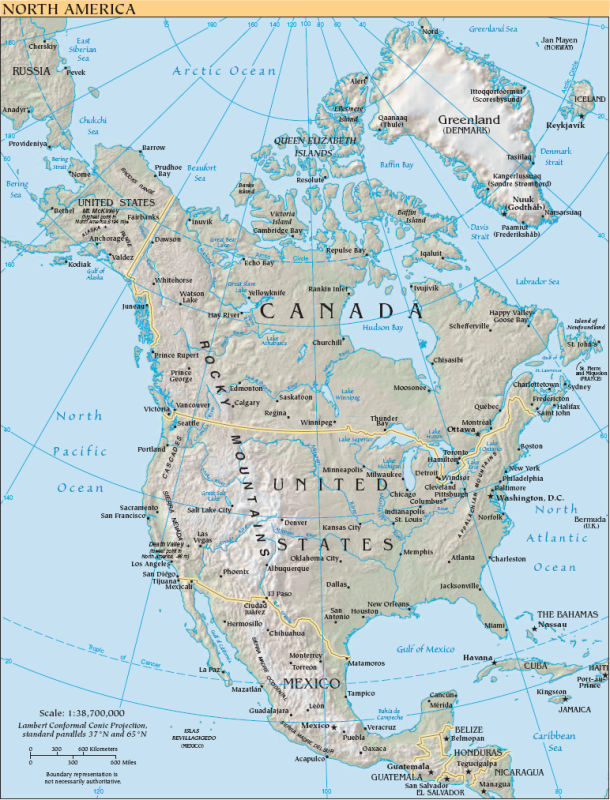 The United States has a population of over 300 million people. 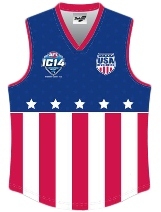 The USAFL, the national body for Australian Football, began in 1997. There are 32 active clubs across the country (and subsets of those teams under the guise of “metro” footy and women’s teams as well as some clubs in formation or recess) the annual National Championship Tournament may still be the biggest amateur Australian football carnival in the world. New USAFL president Denis Ryan told us "Player registrations are tallied at the end of the season at the Nationals. Last year registrations were 1080 which effectively reflected stagnant growth over the last six years. This was the major reason I ran for the Presidency. We have started some initiatives this year that will rekindle growth, but as these need time to have an impact, expect registration to remain the same for 2014. We are currently on track." Probably the hardest thing about bringing the Revolution team to the International Cup is dealing with the huge size of the United States. Players are almost evenly distributed across the USAFL's three regions, the East, Central and the West. And bringing them all together is a difficult and expensive task. US players pay for their trip down under by team fundraising, mainly through donations, as well as through local club or individual donations. In 2011 the team was sponsored by ESPN who had AFL broadcast rights at that time. This time there is no team sponsor. The level of awareness of the IC in the U.S. footy community is much greater this time due to the fact that so many players from clubs all over the U.S. will be attending and the resultant social media presence. The US team will attend training at Montrose Football Club (EFL) ahead of their community round clash at Montrose. While they have a number of players who have previously spent time playing in Australian leagues they have had no players playing in Australia this year in advance of IC14. Having the Freedom (women’s team) join them at IC11 provided a boost with both teams supporting and interacting with each other. The addition of the Liberty has grown the US contingent and consequently grown the support base for all U.S. teams. Bryan Dragus - Selected in the World Team at CHF at IC11. Bryan now with the LA Dragons, previously played a season with the Western Magpies in the QAFL. Bryan is very agile for his height will be hoping to dominate up forward providing a real focal point for the Revolution as he did at IC11. Andrew Werner – Revolution captain, will lead from the front and chip in with some handy goals. Selected in the World Team at IC11 and previously played footy in country Western Australia. Steve Fashant – Named on the ball in the World Team selection at IC11. Hard at it and will give the Revos their drive with great foot skills putting the forwards at an advantage on regular occasions. At IC11 the US showed good form but went down to the highly fancied PNG in the semi-final and were then beaten by 35 against NZ. This time around they will again face NZ so on that form and the growth of NZ footy it is hard to see them getting over them. But with three years between cups, the form guide as a predictor of what will happen this time around maybe is a little weak. In 2008 the US easily defeated Denmark, China and Japan in Melbourne but went down to Nauru and South Africa in Warrnambool. In 2005, the Revos finished third with two wins over the 2002 Champions Ireland. They lost to Runner's Up PNG by a solitary point, but went down to the eventual winners, New Zealand by 32 points in the First Semi Final. With Canada their only International opponent since the last International Cup it is hard to gauge any change in strength of the US team. Unfortunately due to the way the seeding from the previous tournament panned out the US will again play Canada in the opening day of the tournament. The US should easily account for Finland in Round 1 and while it will be no walk in the park they should beat their Canadian neighbours that they know so well in Round 2. If everything goes their way and they can indeed play their P.A.R.T and defeat the Kiwis in Round 3 then the MCG and a shot a the title will await if they can keep it all together.